Hawaii Land Use Law and Policy: Is the Federal Government's Ambitious Proposal to Expand the Whale Sanctuary the Right Answer? There are many iconic images of Hawaii, and near the top of that list is the endangered Humpback whale breaching in Hawaii's waters during its seasonal migration. The Hawaiian Islands Humpback Whale National Marine Sanctuary, was created by Congress in 1992, and approved by Hawaii's governor. 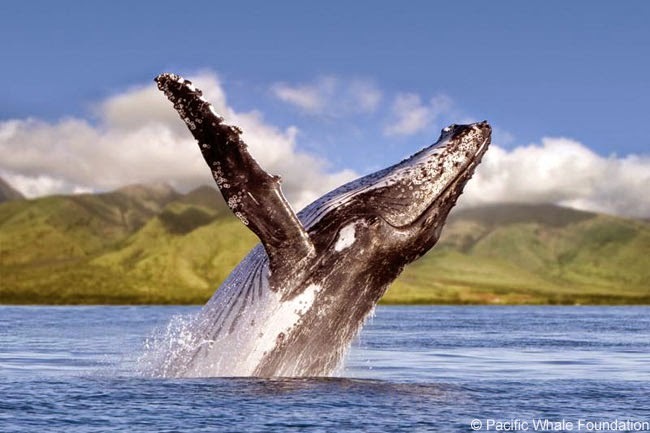 The purpose of the Sanctuary is to protect humpback whales in Hawaii. It is administered by the National Oceanic and Atmospheric Administration (NOAA), under the U.S. Department of Commerce. The Sanctuary currently encompasses 1,400 square miles, including the channel between the populated islands of Maui, Lanai, and Molokai. The current Sanctuary model seems to be working. NOAA research finds that “Humpbacks are increasing in abundance in much of their range.” Even with its success, the Sanctuary remains relevant. As the population of whales increases, human-whale interactions increase. NOAA is proposing an expansion of the Sanctuary. The proposal includes expanding the federal government’s regulatory oversight of uses and activities (e.g., fishing, energy, recreation, commerce, etc.) within the expanded Sanctuary boundaries. 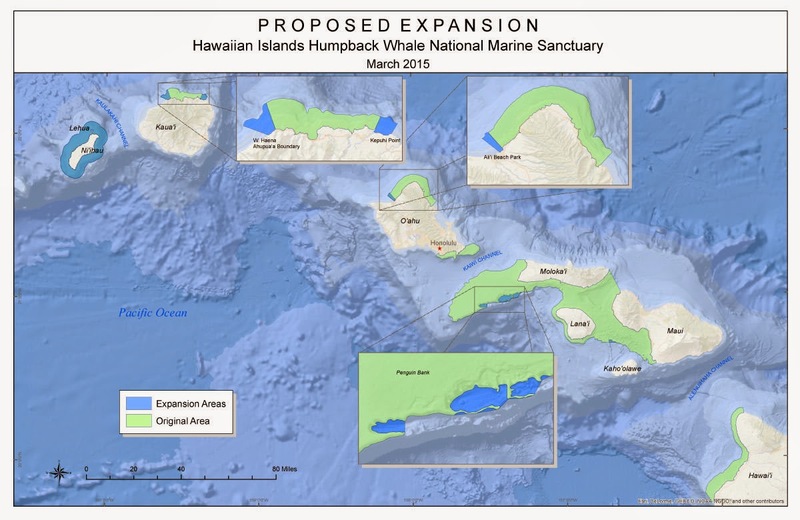 The proposal departs from the Sanctuary’s purpose of protecting humpback whales that seasonally migrate to Hawaii and expands to regulating all species and habitat within its boundaries. This additional regulatory oversight would add to existing federal regulatory requirements such as the Marine Mammal Protection Act, Migratory Bird Treaty Act, Endangered Species Act, Magnuson–Stevens Fishery Conservation and Management Act, Clean Water Act, and Coastal Zone Management Act, just to name a few. The proposed expansion also contemplates including state waters, which are currently managed under existing local and state regulations administered by state agencies such as the Department of Land and Natural Resources, Office of Planning, and Department of Health. Depending on the kind of activity proposed in Hawaii’s waters, additional regulation by the Bureau of Ocean Energy Management (BOEM) and the Federal Energy Regulatory Commission (FERC) might also come into play. Most all of these existing regulations require an environmental assessment, and in most cases, an environmental impact statement under the National Environmental Policy Act (NEPA) and the Hawaii Environmental Policy Act (HEPA). Our regulatory system must protect public health, welfare, safety, and our environment while promoting economic growth, innovation, competitiveness, and job creation. It must be based on the best available science. It must allow for public participation and an open exchange of ideas. It must promote predictability and reduce uncertainty. It must identify and use the best, most innovative, and least burdensome tools for achieving regulatory ends. It must take into account benefits and costs, both quantitative and qualitative. It must ensure that regulations are accessible, consistent, written in plain language, and easy to understand. It must measure, and seek to improve, the actual results of regulatory requirements. Where relevant, feasible, and consistent with regulatory objectives, and to the extent permitted by law, each agency shall identify and consider regulatory approaches that reduce burdens and maintain flexibility and freedom of choice for the public. These approaches include warnings, appropriate default rules, and disclosure requirements as well as provision of information to the public in a form that is clear and intelligible. Besides the expanded jurisdiction and regulatory authority proposed, are there other "regulatory approaches that reduce burdens and maintain flexibility and freedom of choice for the public"? The Sanctuary’s proposal is in the last stages of the federal approval process. NOAA is accepting comments on its proposal. The deadline for public comments is June 19, 2015. Several public hearings will be scheduled in Hawaii starting on April 27, 2015. The full schedule is available at http://www.regulations.gov/index.jsp#!documentDetail;D=NOAA-NOS-2015-0028-0002. Ultimately, any expansion into state waters must be approved by the governor.